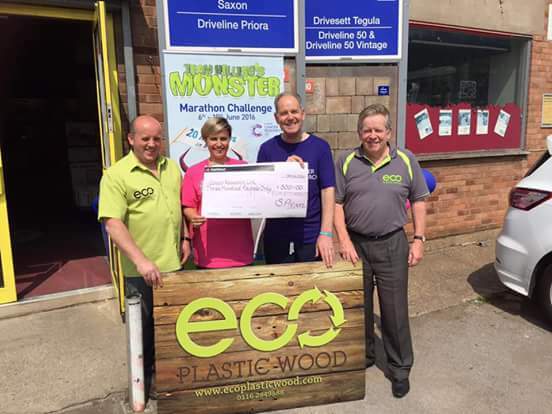 Eco Plastic Wood have successfully taken part in an amazing fund raising event, with participants collectively running 20 marathons (520 miles) in 5 days! 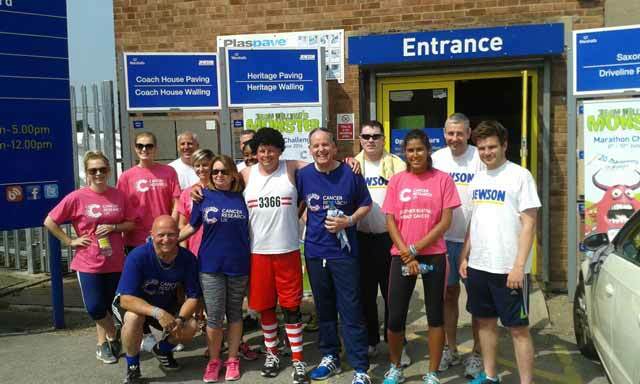 Our manager Mandy Gundle took part, running a mile. Eco Plastic Wood also donated a sizable amount to the cause. The target of £10,000 was achieved in short order, with the final total being far above that figure – reaching £16,000 in total! The money went to Cancer Research UK. Many took part, from various different backgrounds and experience levels. Even the newest of runners have done their part. Cancer Research UK are dedicated to stopping cancer – saving lives through preventing, diagnosing and treating cancer through research. There are many different benefits to running for charity, so we hope you’ll be convinced by our efforts and the many positives to getting involved. We found that running for charity provides you with a purpose; this makes it far easier to push yourself to complete what you’ve committed to do. It’s great to commit to an activity that encourages fitness whilst giving to such a worthy cause. We found it to be a very rewarding experience to be part of. Us and the other participants found that committing to 520 miles in 5 days collectively made the experience challenging but valuable. In normal charity runs, the event is usually a typical marathon and can be too much for some kinds of people. This way everyone can contribute. This positive group ethos is very positive in terms of what really matters, the charity! We’re very happy to have taken part in this event and are always trying to consider others as well as the environment. We want a sustainable future for everyone and are happy to have contributed to a great cause. I’ve spotted the two fit ones in the top photograph !! !